One of the things I love about food blogging is the community! 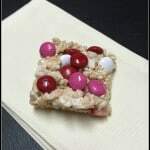 I love making fun treats like these Strawberry Rice Krispy Treats, but, really, it wouldn’t be any fun if I didn’t have anyone to share them with! Through blogging, I have met so many fun people over the years who share my obsession with all things food and taking pictures of food and talking about food and posting pictures of food. Mostly, we meet up online, but every once in a while I get the opportunity to connect IRL (in real life) at a conference or an event and, truth be told, everyone has been just as awesome in person. This year, to raise money and awareness for No Kid Hungry, the lovely ladies at The Pintertest Kitchen coordinated a big virtual #foodbloggerlove event… Think Secret Santa, except with Valentines. My Secret Valentine was the fabulous couple at Simple Food 365. I have been stalking – ahem, following – Tara and Christopher since I was given their names and I immediately loved their SIMPLE, bright meals and the fact that almost everything I found on their beautiful site was also gluten-free. And, believe it or not, we live in the same city! What are the chances? 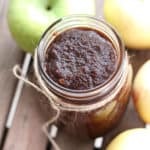 For my Food Blogger Love post to them, I wanted to make something simple and bright – something along the lines of a yummy recipe you might find on their site. 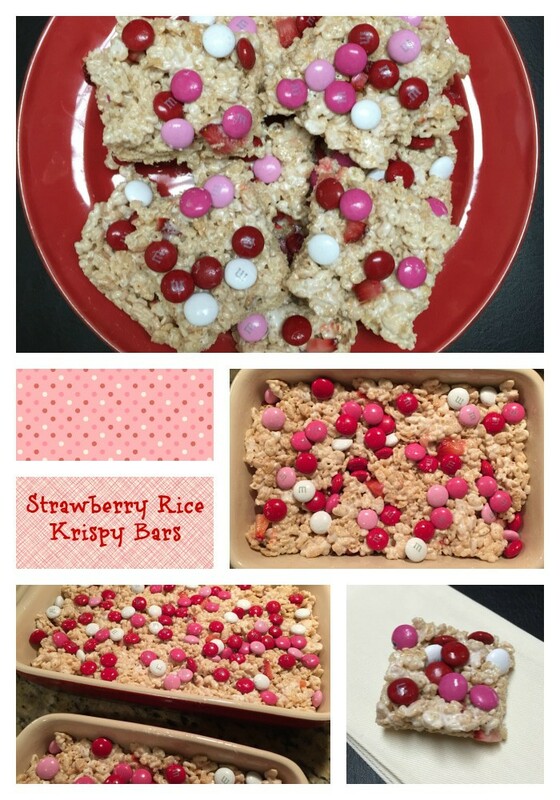 When I thought about simple and Valentine’s Day, strawberries and rice krispy treats came to mind. I have been taking full advantage of the strawberries coming up from the south and I am putting them in just about everything – why not strawberry rice krispy treats? I must have been channeling them really well because, when I checked out their site this morning, I found this super fun recipe for pink m&m puppy chow! Awww… Coincidence? I think not. We were meant to be paired together! 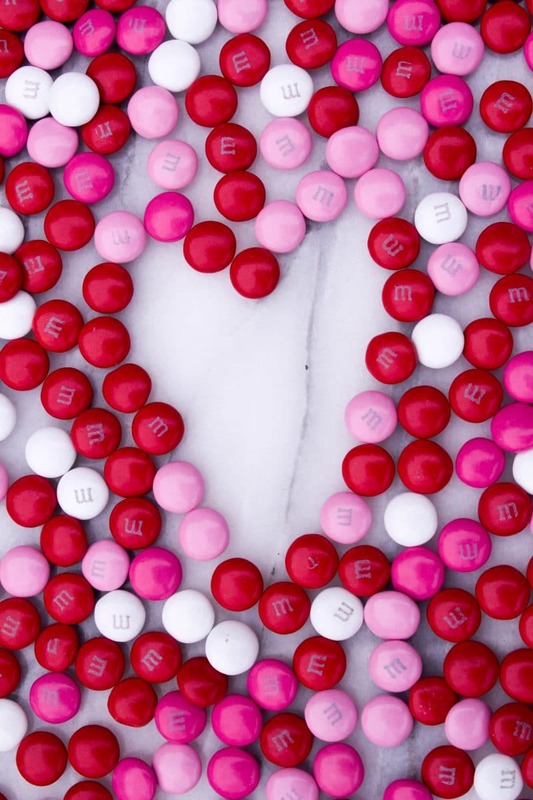 How can you not love the shades of pink and red m&m’s at this time of year?! While the fun blogger pairings and the recipes are fun, the statistics about childhood hunger are not. Here in North Carolina, more than 1 in 5 kids are food insecure – meaning that they do not know where their next meal is coming from. Across the nation, it is estimated that 16 million kids aren’t getting the food they need. This week, I joined the No Kid Hungry Hunger Core. If you have $5 a month (or more!) to help end childhood hunger, you should join, too. As part of this awesome #foodbloggerlove event, The Pintertest Kitchen has also organized a Kindle Fire giveaway. Be sure to enter! a Rafflecopter giveaway … And, of course, don’t forget to check out all the other #foodbloggerlove recipe posts popping up all over the internet today! Happy Valentine’s Day!! Fresh strawberries transforms simple rice krispy treats into a fun holiday dessert! Melt butter over medium-low heat in a large pan. Add marshmallows. Stir continuously with a silicon spatula until the marshmallows and butter are completely combined. Spread in a 9 x 13 pan sprayed with oil. Sprinkle m & m's over the top. Gently press down using a piece of parchment or wax paper. Let sit until cool. Cut into squares. Store in an air-tight container. Enjoy!! I absolutely love those rice krispy treats, Erin! 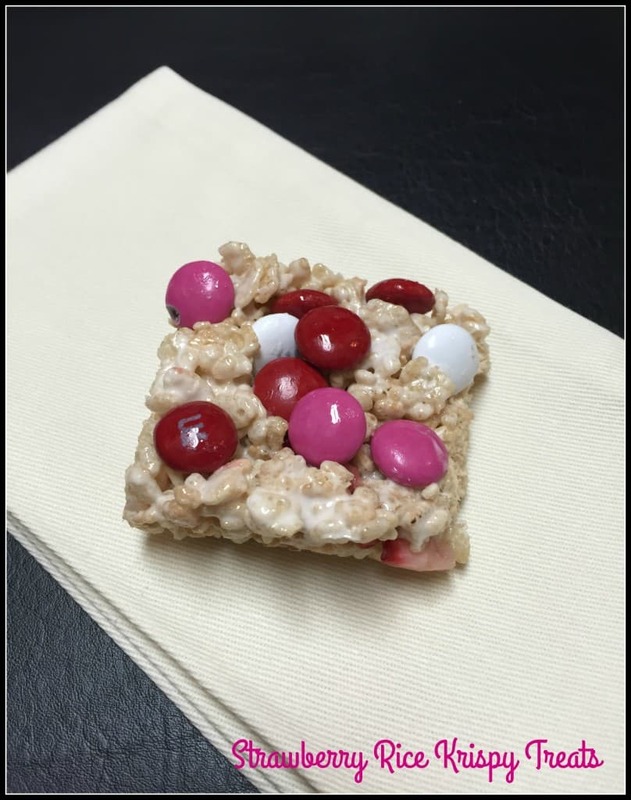 You were definitely channeling us with the strawberry and pink M&M candy additions. We love all things strawberry too! Thanks so much for the kind words. 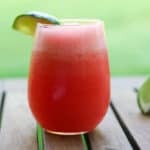 I’m new to gluten free myself, but I see that you’ve got some awesome GF stuff here, too. You’re in my bookmarks now – I love finding local bloggers with great stuff! Speaking of that, what are the odds of us both being in the same city? Too cool! Thanks, Tara!!! I hope we get to meet in person!!! Love having found your site! Yum! M&Ms make everything yummier… and more festive too! 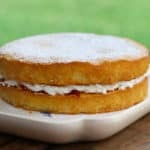 I’m loving browsing through all the recipes everyone is sharing today. Thanks, Jess! I agree! 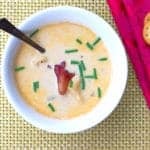 What a great group of bloggers AND recipes! Ah, this recipe looks so fun and festive! <3! Such a cute and sweet idea not to mention the giveaway thanks for sharing! What a fun idea! I know my daughter could not resist these (and she would probably eat all the chocolate first, haha. These look fantastic, I love them! These look amazing, rice crispie treats are one of my favorite snacks! Thanks, Marye! These are one of our favorite quick treats!! What a great cause paired with a recipe before for a classroom Valentine’s party. My daughter would go crazy for these strawberry rice krispy treats. Thanks, Christie! It IS a great cause – happy to be able to bring a little more awareness. These look fabulous, Erin! I’m so glad I have leftover Valentine’s M&M’s!!! Thank you!! They were delicious!